We’ve wrapped up our reports overhaul with an update to our Group Report. 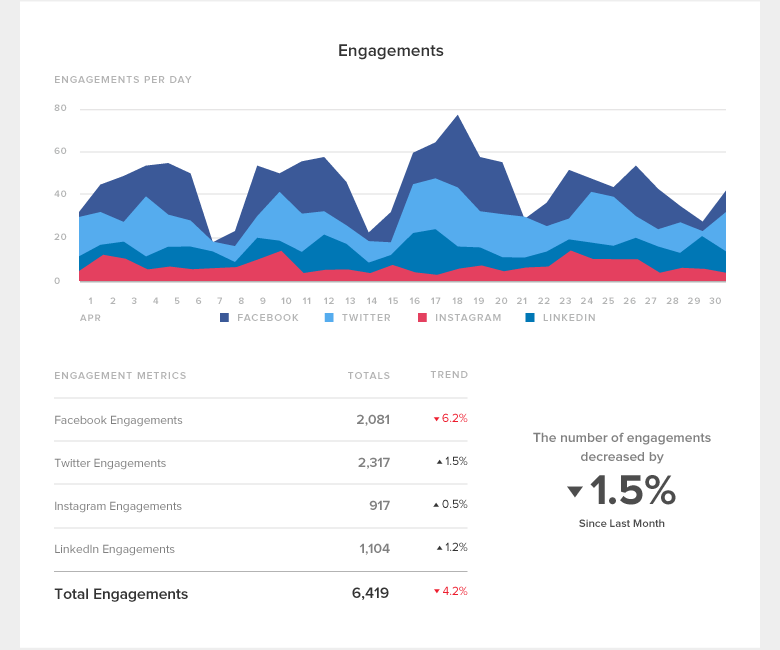 The report combines a variety of social media analytics from Twitter, Facebook, Instagram and LinkedIn to benchmark your business’ overall success on social. 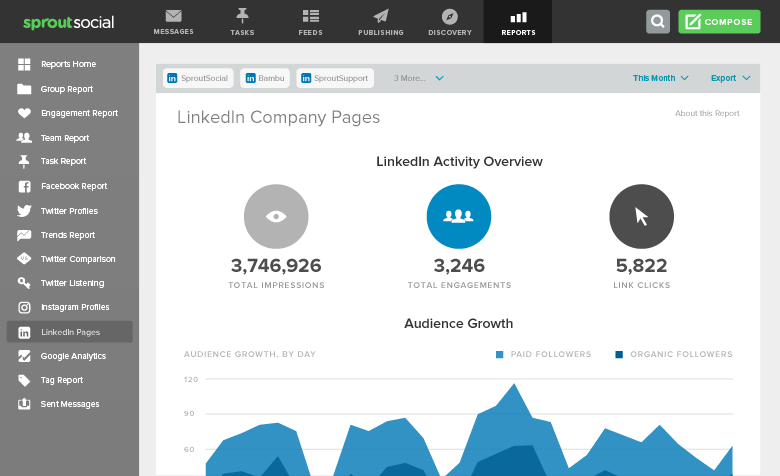 The Group Report allows you to compare and analyze your social strategy across networks by aggregating common metrics across channels and timeframes. To make the Group Report more valuable to brands and businesses, we’ve added two networks to our existing report: Instagram and LinkedIn. Charts are broken down to show each network so you can easily compare and pinpoint which are performing best and where your team should be spending more of its time to develop and grow. 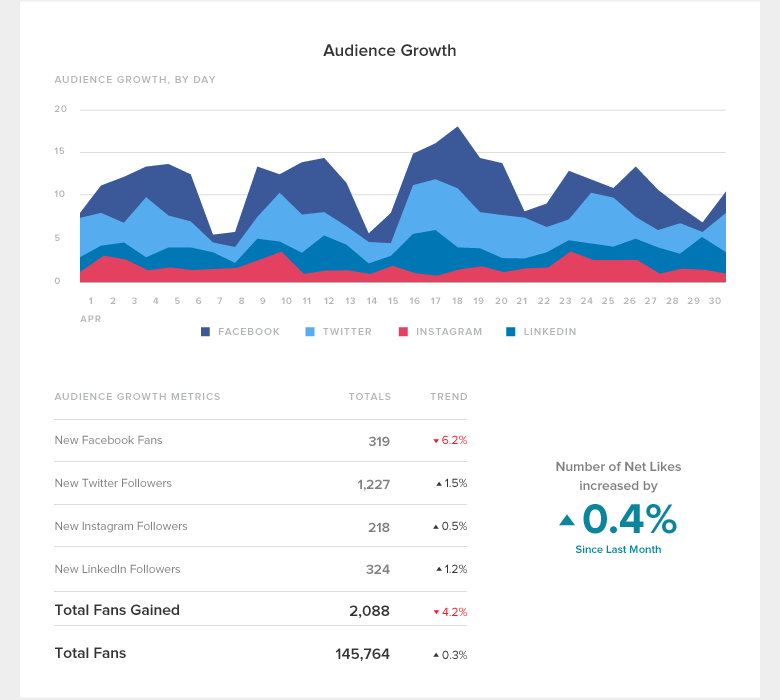 In addition to seeing how your various social communities are growing relative to each other, the new Group Report breaks down your engagements, impressions and message volumes across networks and calculates how these metrics are trending over time. This side by side network analysis will help you make informed decisions around your content strategy, community development and even where to allocate your paid social budget. 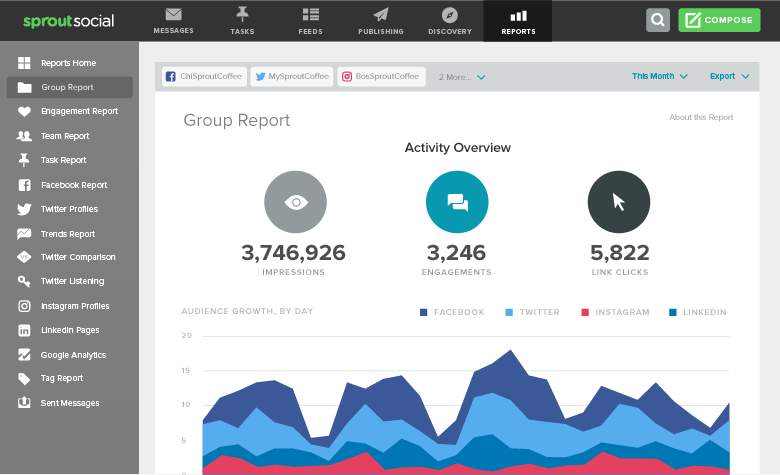 After analyzing the Group Report for aggregate data across your social networks, you’ll have a better understanding of your social efforts as a whole. To focus in on specific network growth, turn to the Twitter Profiles, Facebook Pages, Instagram Profiles and LinkedIn Company Pages Report. These reports enable you to further analyze individual pages/profiles, or add multiple pages/profiles for a complete look at performance and growth on each network.